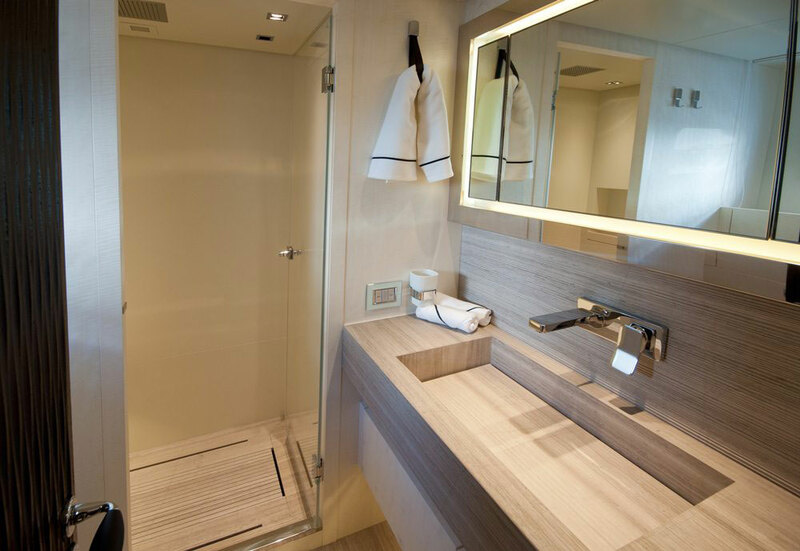 Besides the spirit of uniqueness with which Sanlorenzo Yachts have been greeting us during the years, there’s also the great level of detailing that we should mention when discussing about them. 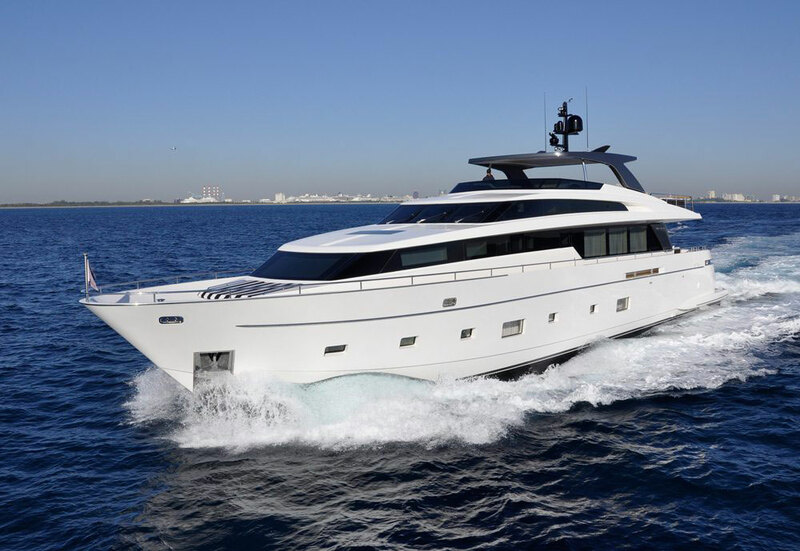 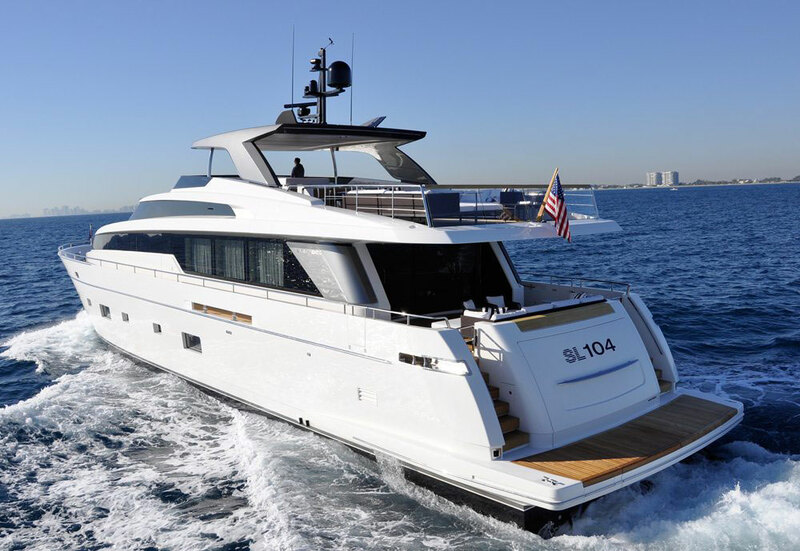 As a demonstration for the aforementioned, we give you the Sanlorenzo SL104 Planing Yacht, a fabulous yacht that will be displayed at the Miami International Boat Show during this week. 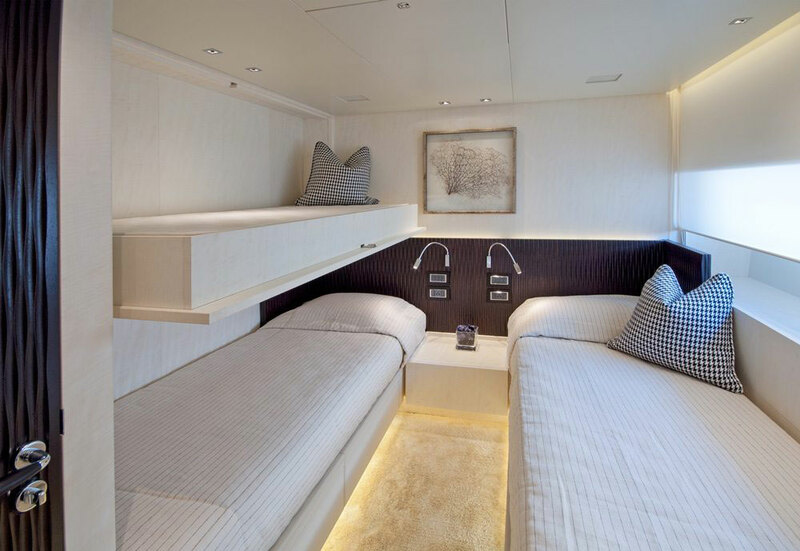 A beautiful custom creation, this yacht offers its owners a number of custom design options for both its interiors as well as exteriors. 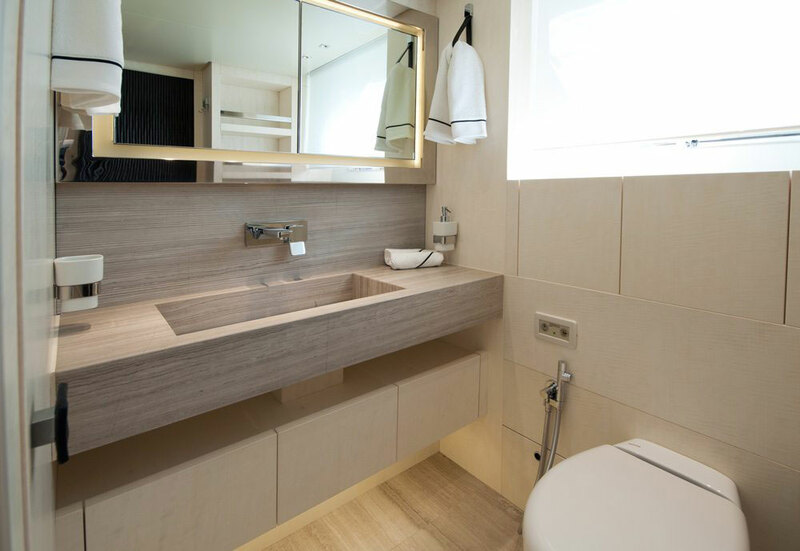 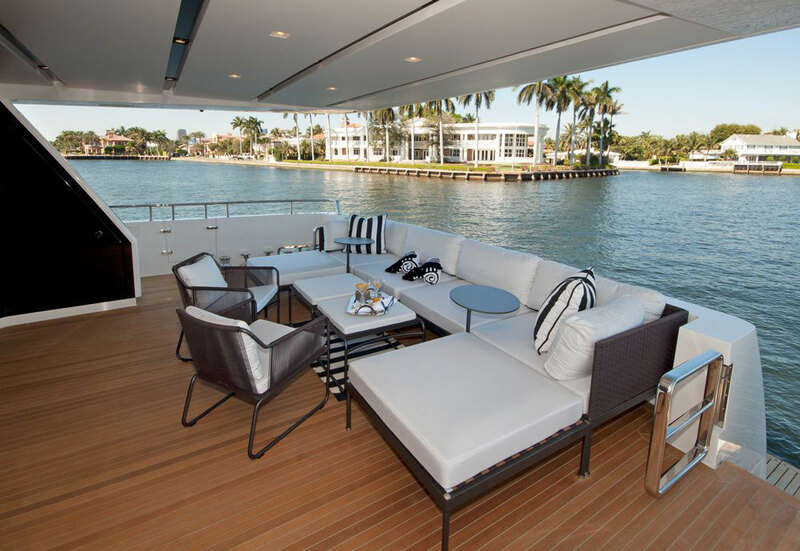 From the entire design layout, to joinery style and wood species, owners can customize each and every part of the yacht according to their liking. 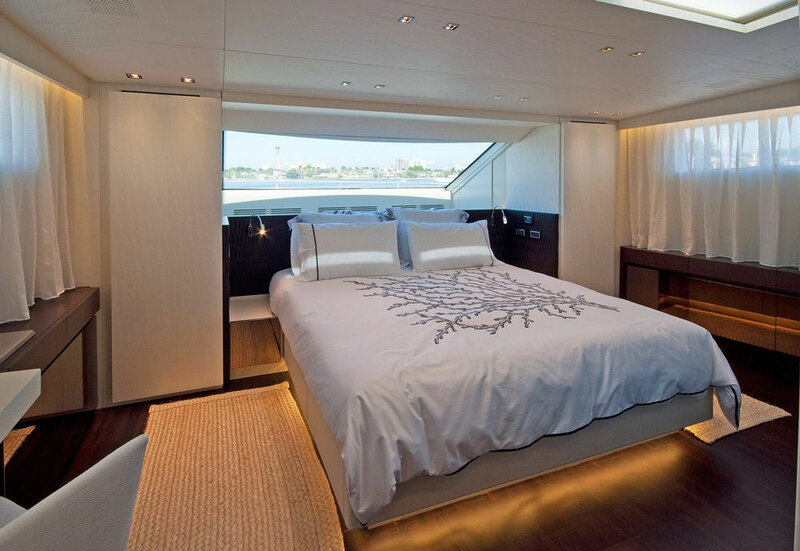 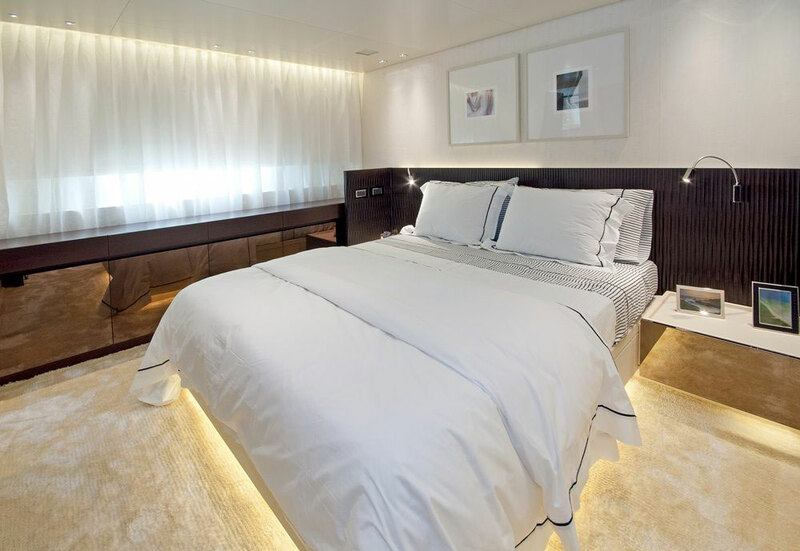 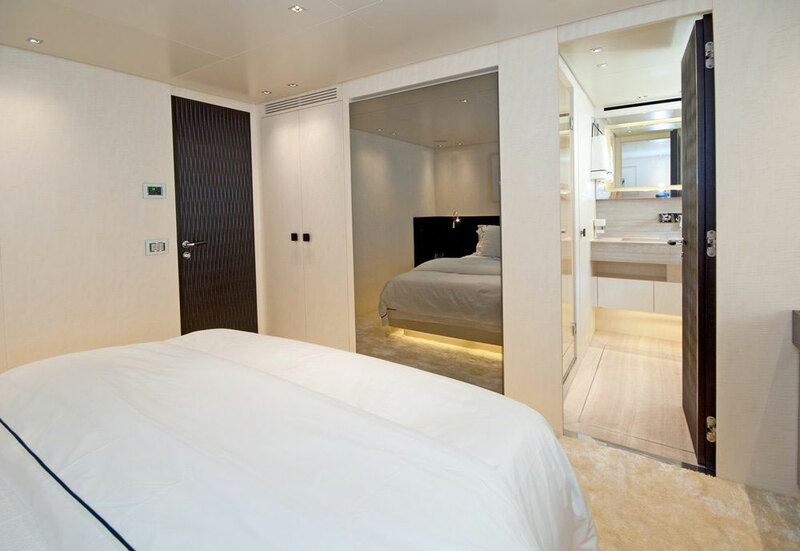 In the case of this particular SL104 at the MIBS, images of black sandy beaches, rocky coastlines and the iridescent hues of sea shells were the inspiration for the décor by the Sanlorenzo Americas’ interior designer, Marty Lowe. 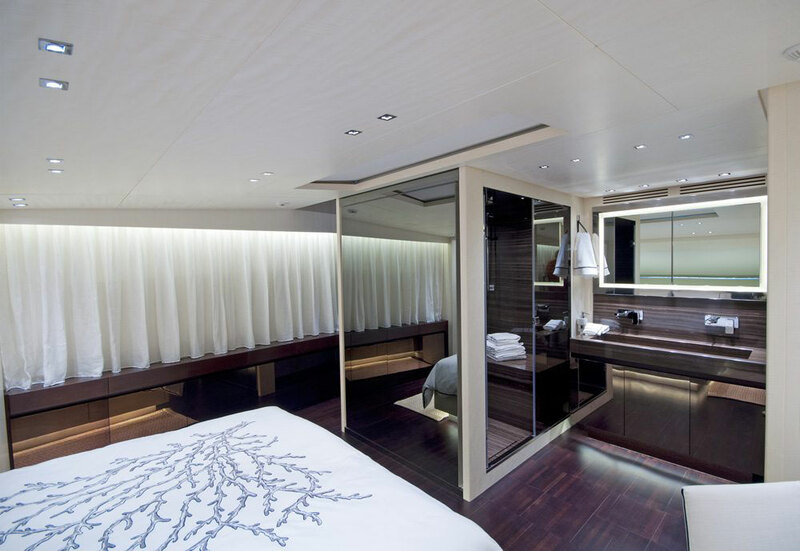 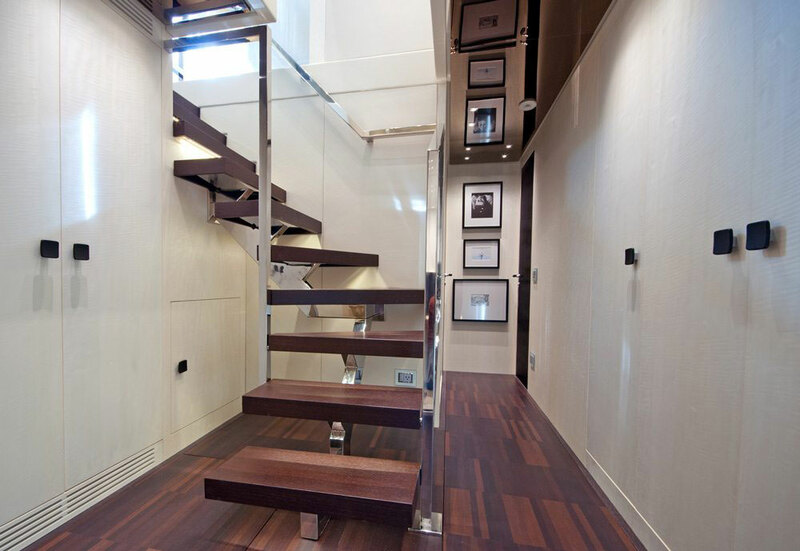 Materials like hand carved wenge and bleached anigre woods, bronzed glass, stainless steel and bronzed mirror are all used to give the interiors a feeling of sheer exquisite luxury. 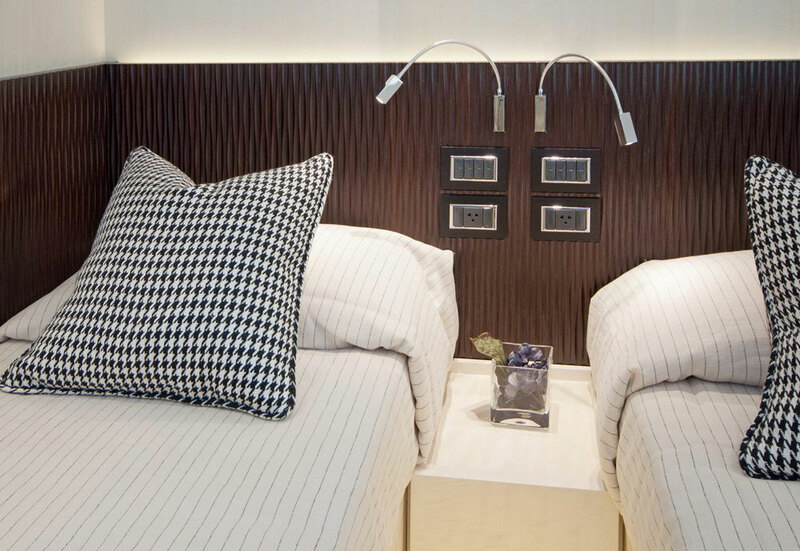 Marbles, stones and fossilized leather all provide a unique touch to the décor. 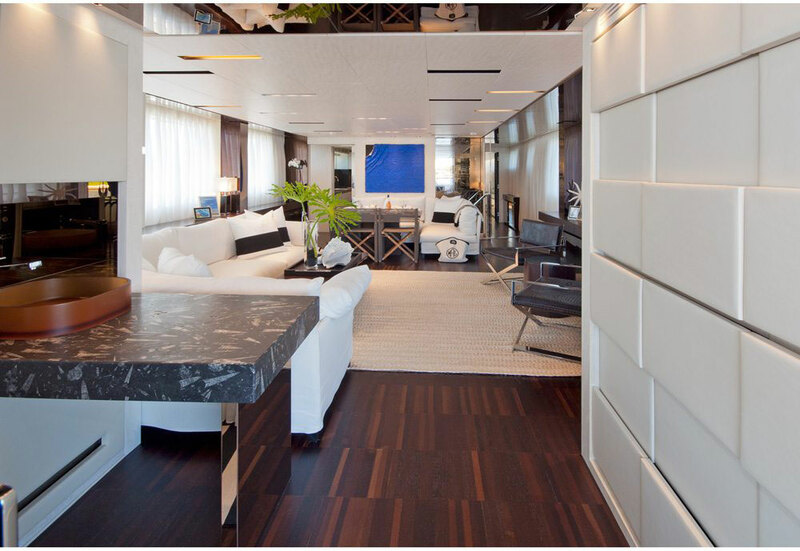 The salon serves a double purpose, being able to function as both a lounge and a dining room, and has an informal air that matches the American style. 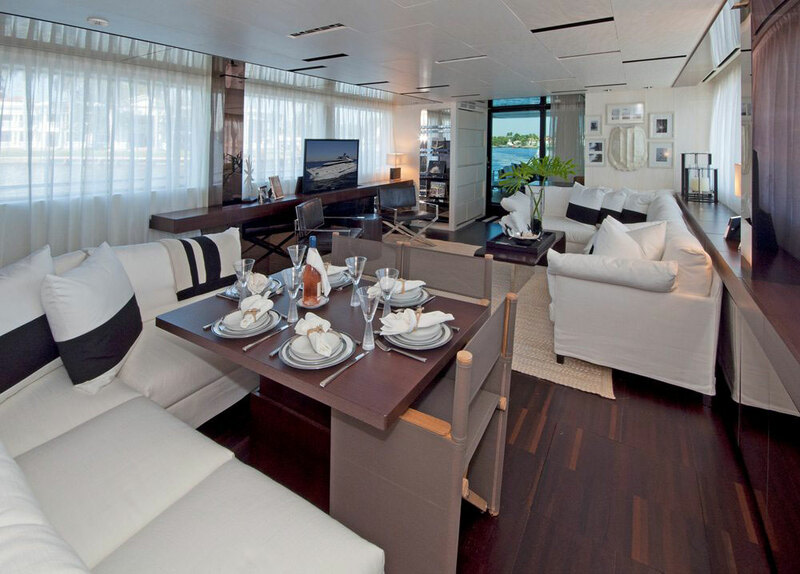 The flybridge dining area on the other hand tells a different story, being exquisite and way more private. 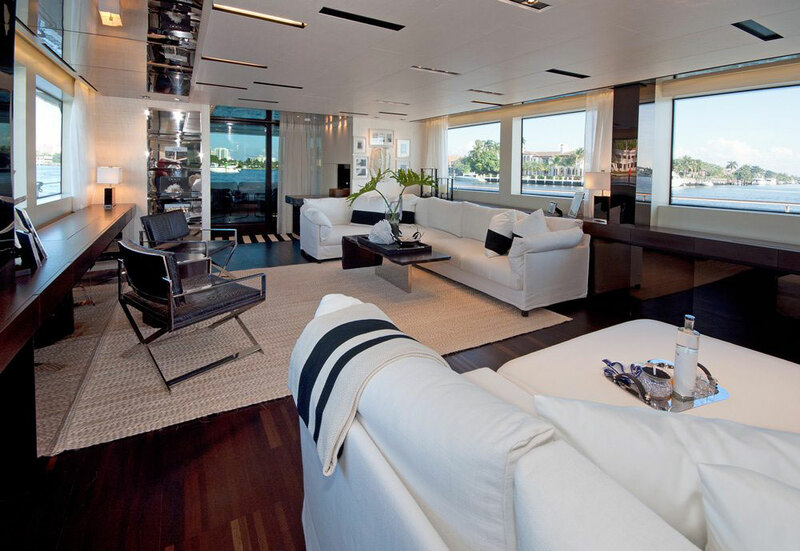 The lounges in the main salon are covered with some sort of pure Belgian linen, processed to allow for a sensation of coziness and pleasure. 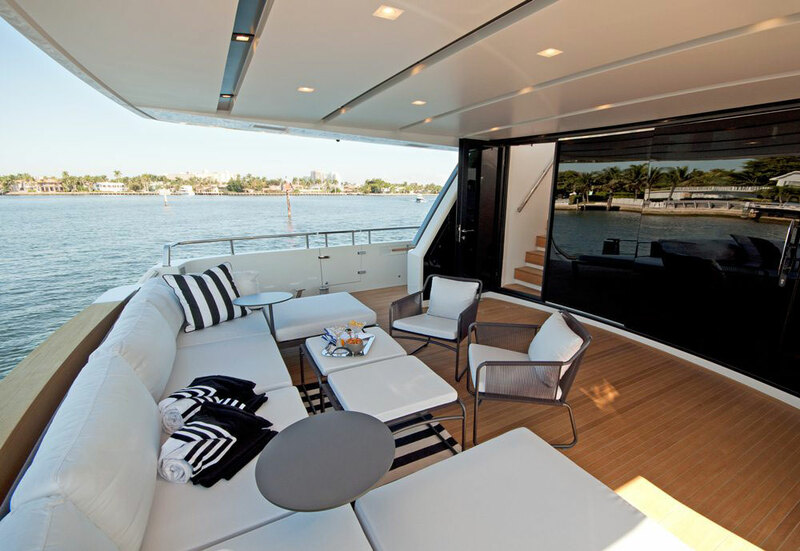 Sunbathing, relaxing, grilling, cocktails or watching a football game were considered in the ergonomic design layout of the flybridge. 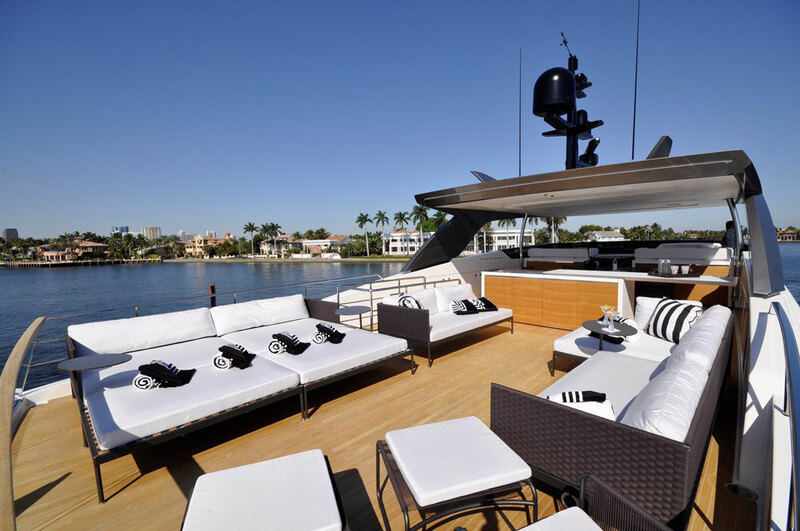 The generous alfresco dining area offers an additional cooling comfort, thanks to the supply of air conditioning. 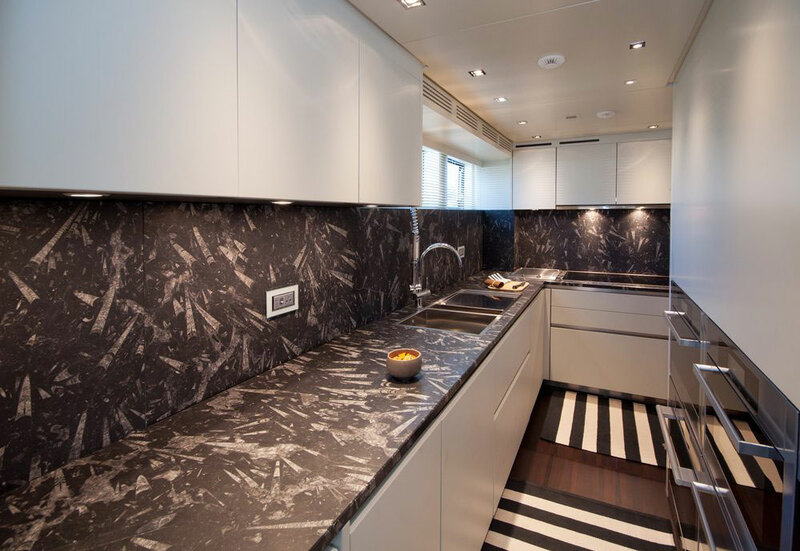 Adjacent to the 12-seating dining table is an integrated galley unit, created by renowned Italian galley manufacturer, Boffi. 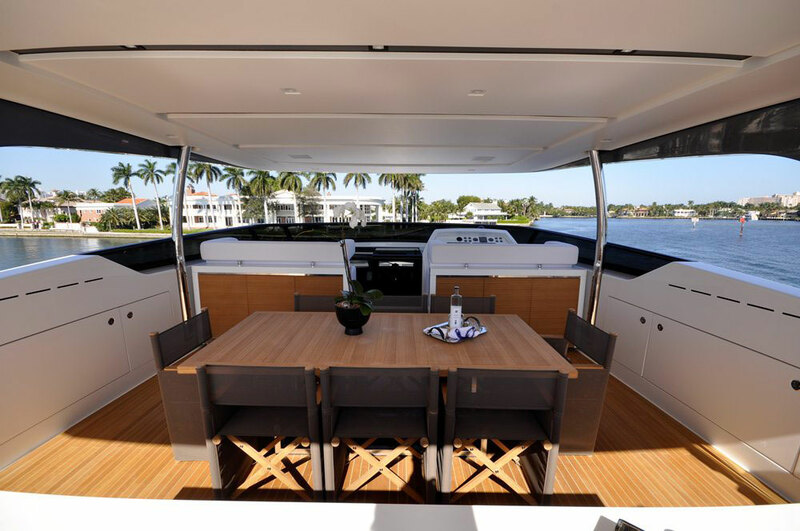 This is featured as a centreline divider cabinet between the dining area and aft seating zones. 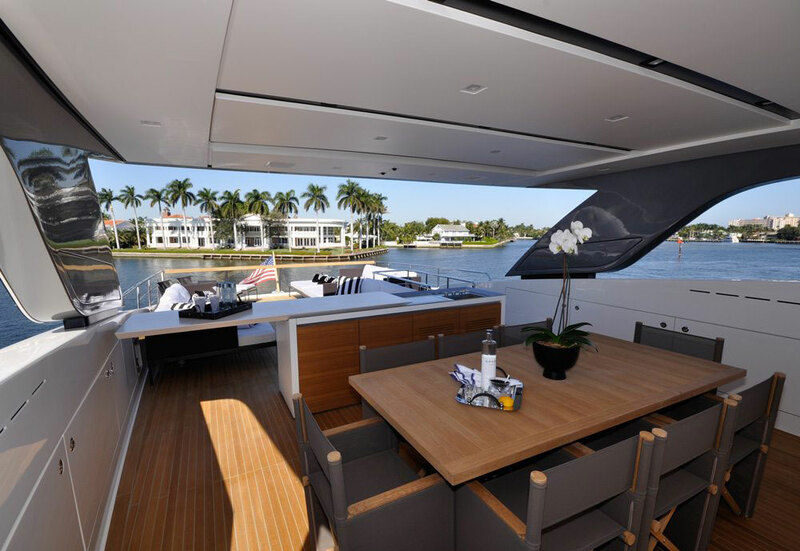 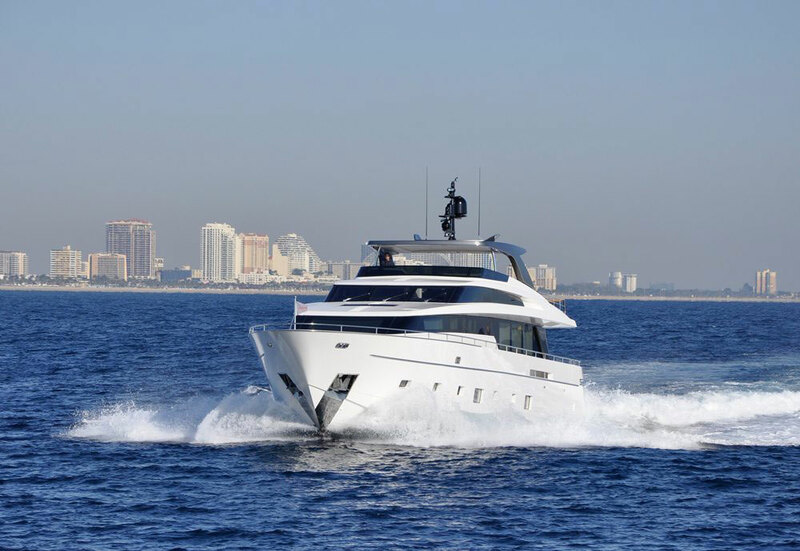 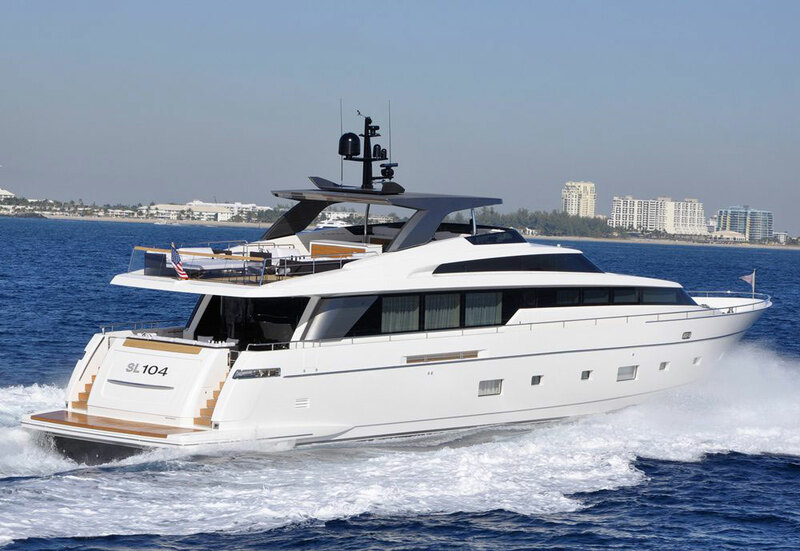 A substantial aft garage stores the water toys, leaving the decks and the flybridge uncluttered for entertaining. 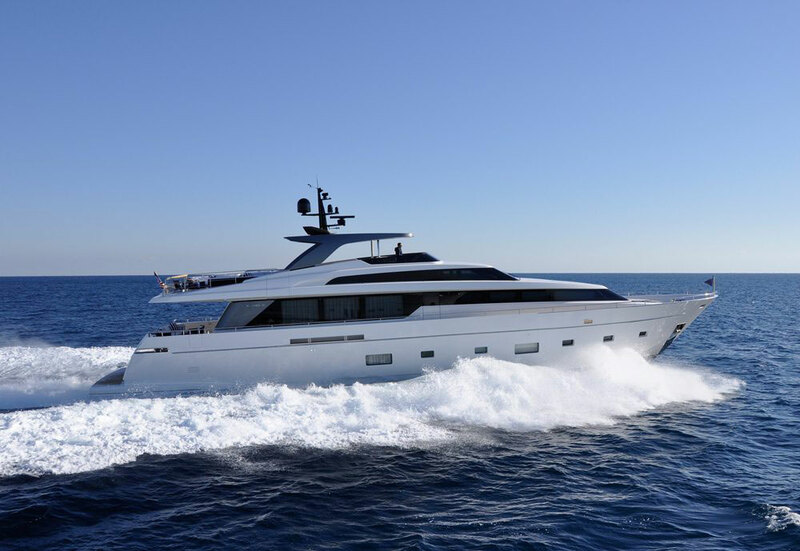 An unmistakable style and a refined design place the Sanlorenzo yachts to the highest level of the international production, where the Italian Shipyard, in more than 50 years of history, became the synonymous of excellence in terms of quality and attention to details, typical features of the craftsmanship production.